This is a regular spot for couples trying to find a peaceful abode in NIBM as it's tucked away in Palace Orchid. 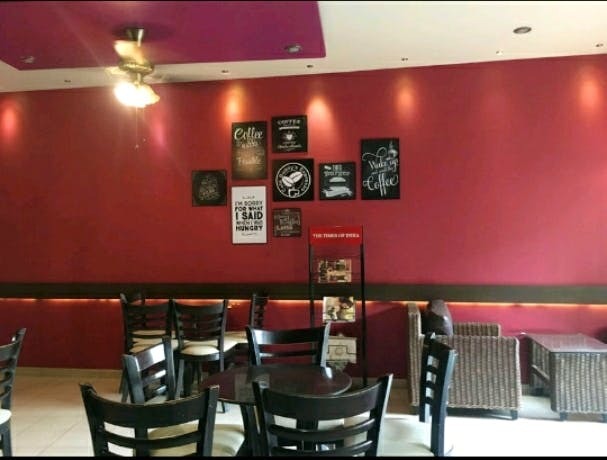 Cafe Buddy's Expressso offers a pleasant ambience for those on a budget and this place is a gem as it lets customers book a snooker table for INR 150/hour. There aren't a lot of places in NIBM to hang out with friends and enjoy a game of pool, hence, this is a nice addition. The cafe is also located next to a gaming cafe and provides a nice getaway for those wanting to play CS GO. And if you're fascinated by architecture, I highly recommend walking down the streets and alleys of Palace Orchid to bask in the beauty of aging English architecture. The music is pretty bland and old. The food tastes average for the price and the quantity is decent. Despite how inviting the smoothies look, try to avoid the fruit ones. The name might appear different on Google maps.